I don't know about you but I love buying things for my home, from candles to cushions, plants and lamps! There is nothing cosier than decorating your house just as you want it. I HATE, with a passion, using 'the big light' (anyone from the UK will know what this means, you know the light bulb hanging from the ceiling which you switch on at the wall, that is 'the big light'). It's not warm, it's not cosy and it looks juts plain ugly on it's own or with a white paper ball over it - we have all owned an IKEA paper lamp shade! 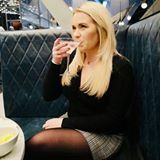 The only way to make it look nice is if you dress it up a with a stylish lamp shade and I have seen some gorgeous looking ones on lightsupplier.co.uk which I have been eyeing up! I think having pretty, warm lights and lamps in your home makes a huge difference to the feel of it. 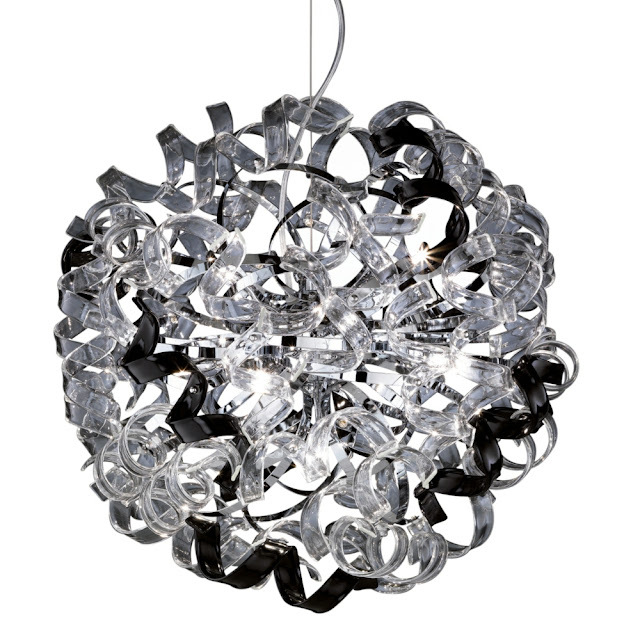 Pinwheel Pendant Ceiling Light, Chrome Metal Body - I think this would look amazing in a dressing room with the light bouncing off the metal swirls. 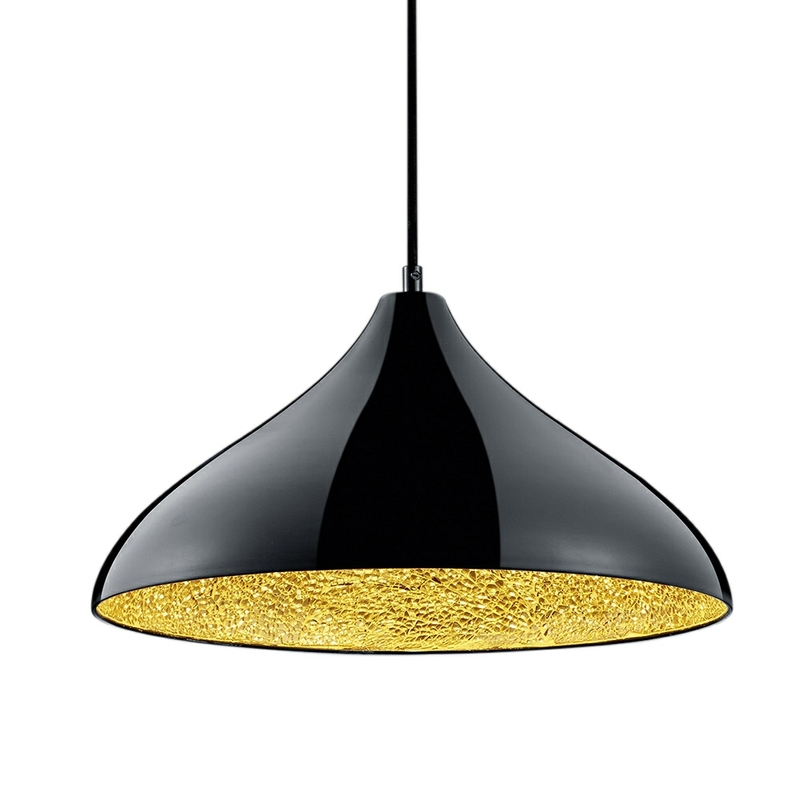 Ramses - Metal Modern Pendant Lighting - I think this would look really classy in a dining room hanging over a dining table. 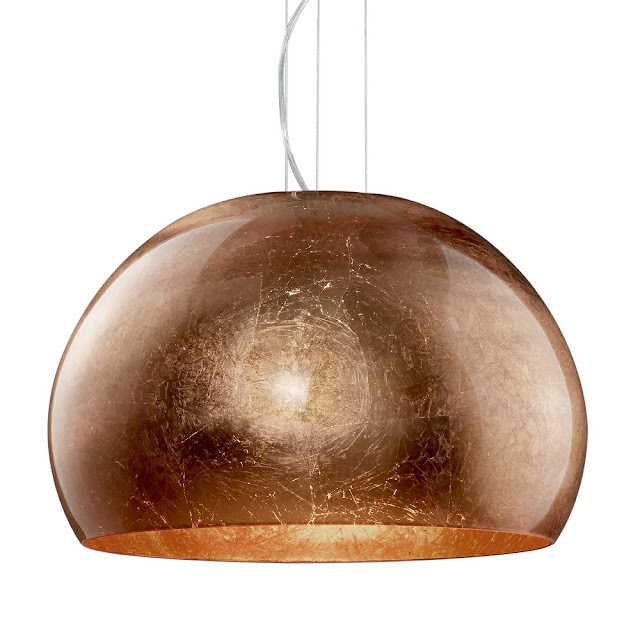 Ontario Copper Glass And Chrome Glass Pendant Light - A definite living room lamp shade, it's warm, it's copper (who doesn't love copper) and it's a statement piece! 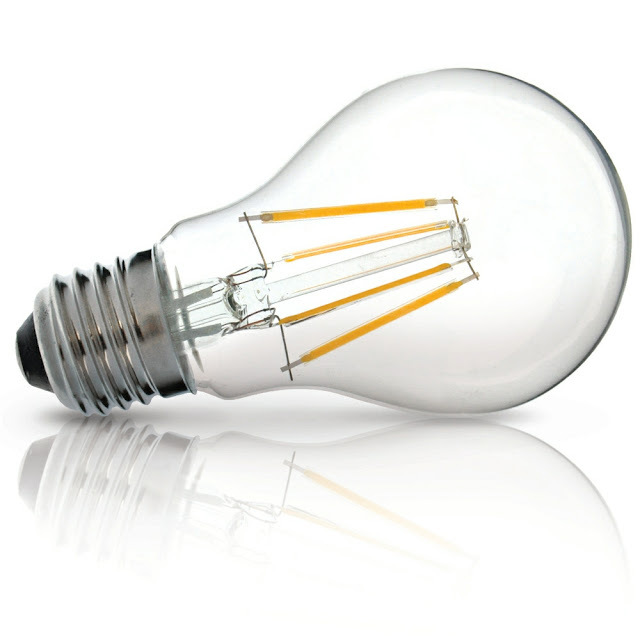 E27 Clear LED Filament Bulb - I always see these interesting light bulbs in trendy bars so for a few quid (£4.00) you could stick them in a few lights around your house and have a swanky feel to your home. Do you have statement lamps in your home and do you agree dressing up your lights is a must-have addition to 'the big light'?